Stocks opened the session higher, in what has been a busy Friday. This morning, Chevron agreed to buy Anadarko for $33B, making it one of the biggest M&A deals this year. Also, earnings season kicked off with JPMorgan, Wells Fargo, and PNC. However, if you ever get a chance to hop into the Millionaire Roadmap chat room we’re talking about a lot more PHUN stuff…I can assure you. PHUN – Nasty fish hook but I like it today after some good news finally. Position as close to $5.30 is desirable, range is huge of course but I think middle $6’s is the immediate goal. Under $5.10 and I’m concerned so that’s the stop loss, under $5 and it flushes again most likely. This is a risky trade but that’s where I live, risk is how I made $276,000 real money before dedicating 100% of my penny stock time to you for the remainder of 2019. That said, I’ve got some announcements I’d like to share with you, like our new Milestones Program and Taylor Conway joining Jason Bond Picks. Read on for all that, plus Taylor’s watchlist that he sent to clients today. A lot of traders are talking about earnings season right now… but forget about that… because it’s milestones season. What do I mean by milestones? Basically, a milestone is an event that marks a specific change or stage in the development of your trading career. Think of milestones as a marker for your achievements. Now, in trading… it’s very clear when you achieve milestones… and that’s by measuring your profits. I’ve decided to add a milestones program for Jason Bond Picks and Millionaire Roadmap clients. You see, this adds extrinsic motivation, which would ultimately benefit your trading. If you don’t already know, extrinsic motivation is getting rewarded when you achieve something. Consequently, this would push you to be more focused when you’re trading… focusing on your A+ setups, managing your trades better, and staying the course. In other words, we’re teaching people to walk before they run… and teaching them the necessary steps to take to become a successful trader… and rewarding them for achievements. For example, if you achieve specific milestones, you could get rewarded with an Apple iPad, Apple Macbook, Apple iMac, a private jet flight and dinner with me and the team… or you might be able to appear on national TV with me… or maybe, you might get a Porsche 911. If you want to learn more about the Jason Bond Picks and Millionaire Roadmap Milestones program… check it out here. I’m not kidding, and it starts when you make your first $1K in profits and verify it with us. While my focus is on catalyst driven penny stocks, Nathan’s approach is geared towards options trading. In fact, he’s now reset his options account to help traders with small accounts. There are so many clients with accounts in the $20K and $40K range – Nathan was in the same boat at one point in time. 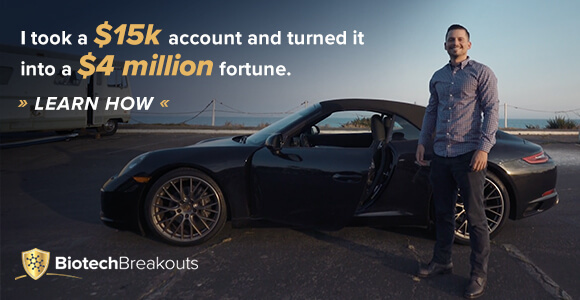 He knew how difficult it was to try to break out of this range… and he wants to show traders you can actually turn a small account into a large one. His mantra for this account will be “trade small, trade often”… and he’s already let Millionaire Roadmap clients what he means by that. 04/05/2019 9:31 AM EST Nathan Bear: SOLD 4 of 5 AMZN 100 (Weeklys) 5 APR 19 1830 CALL @7.05 — +100% overnight. 165% overnight or $6900 on AMZN ~ Casey M.
$2000 overnight on AMZN calls, thanks ~ Jim C.
Sold AMZN $3.45 entry, out at $6.65, nearly 100%, thank you Nate ~ Ryan S.
Sold AMZN in $3.80 out at $7.35, thank Nate ~ David G.
$1500 profit on the AMZN calls ~ Kirk P.
In AMZN $3.30 out at $6.60 for 100%, thanks Nate ~ Marc G.
Now, Nathan isn’t the only one pitching in to help traders achieve these milestones… Taylor Conway is also joining in on the action. 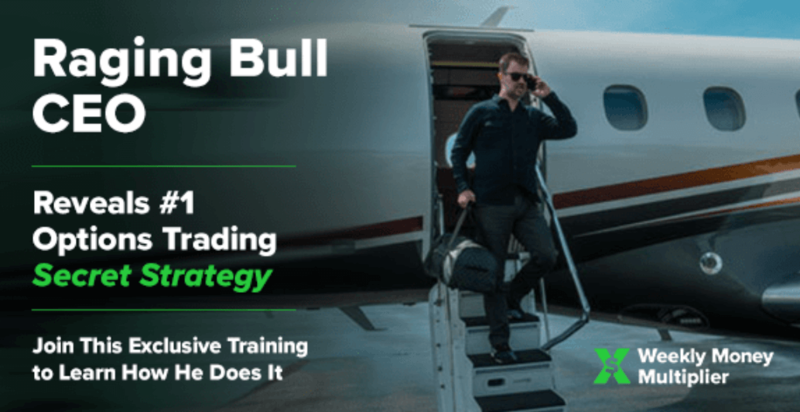 He got inspired by the new Milestones initiative… and is teaming up with Jason Bond Picks and Millionaire Roadmap to help aspiring traders win more. For example, Jason Bond Picks clients will get his free video lessons, dynamic watch list, and text and email alerts. As you can see, it’s a team effort over here. We’ll help you reach those milestones but you have to make the first step by getting started. Click here to do that.